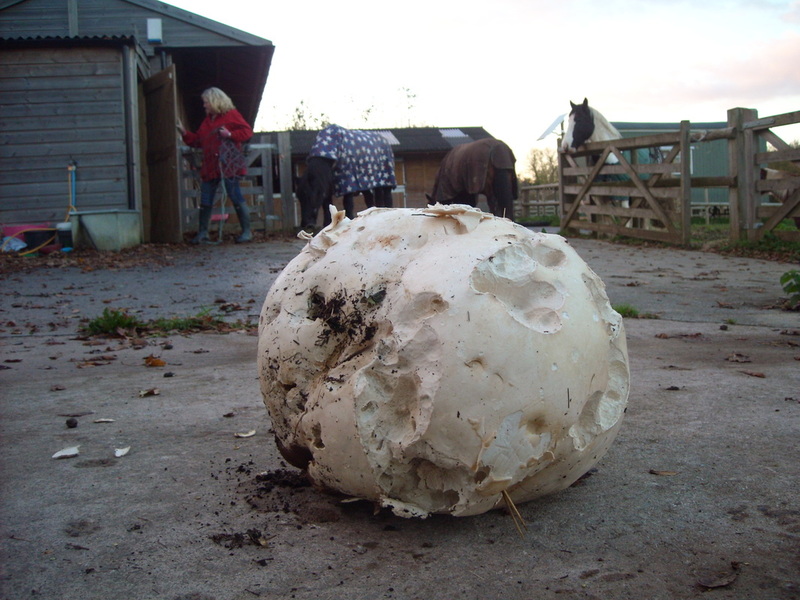 Fungi in our fields 2014 - DEVON YURTS Glamping in Style! Autumn 2014 - Fabulous fungi at the yurt camp! 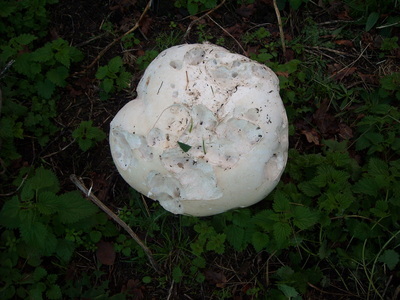 The gorgeous rural location of our yurt camp with organically managed land and pastures mean that fungi grows copiously and freely throughout our fields and in particular those adjacent to the yurt camp. 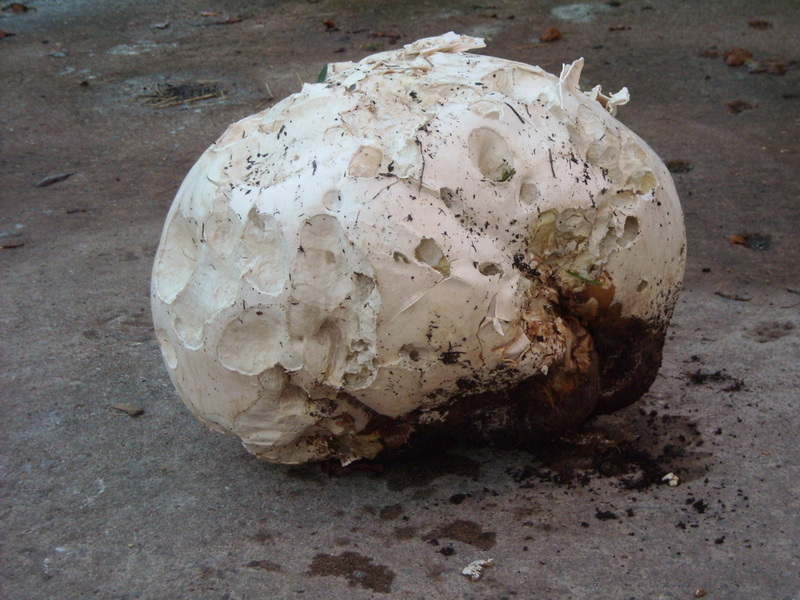 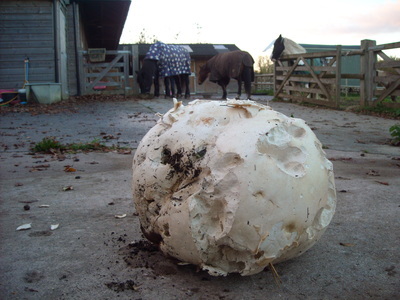 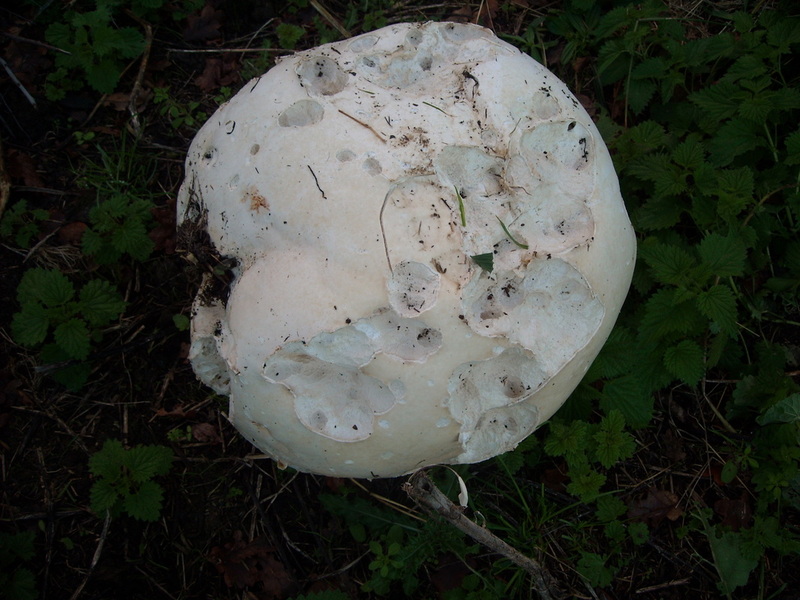 This autumn has given us a spectacular find by way of this edible puffball, Calvatia gigantea. 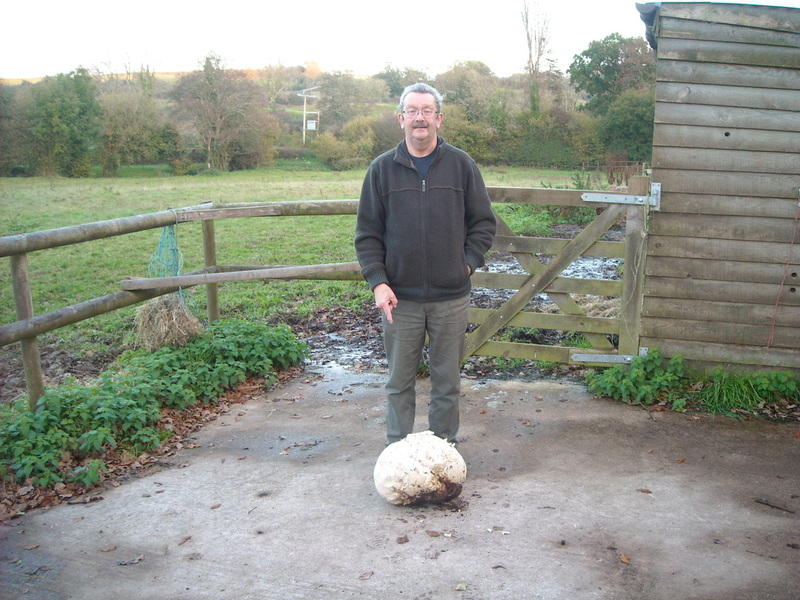 These massive specimens can reach 20Kg, although this one found growing on our muck heap is rather smaller than that. Pictured here you can see how its obviously been sampled by the local insects and snails.